How Many Conscientious Objectors were there in Lewisham and Deptford? The total number of conscientious objectors (COs) for the whole of today's Lewisham is just not known, as after the war Local Authorities were instructed to destroy the minute books of the Military Service Tribunals. Records of 88 COs have been found for the Metropolitian Borough of Lewisham by Cyril Pearce (University of Leeds). Comparing the populations of both Metropolitan Boroughs in the 1911 census, the true number of COs in Deptford may have been more than the 25 for whom he has also found records. Where records are destroyed or missing the local press can be important in filling in the gaps, but they will concentrate on the more newsworthy cases and it is often difficult to get the full picture of what was happening in any given area. Both the Kentish Mercury and the Lewisham Borough News concentrated on reporting the Lewisham Military Service Tribunal and rarely gave much detail about any other South East London tribunal. It may be that there were fewer numbers appearing before tribunals in Deptford, Greenwich and Woolwich, and in Deptford at least the press were discouraged from freely reporting the proceedings and giving the names of those appealing. In Lewisham, on the other hand, Mr Mead, the Chairman of its tribunal, positively discouraged applicants from seeking anonymity and rebuked those who did, as the Lewisham Borough News reported in the case of Robert Mather. 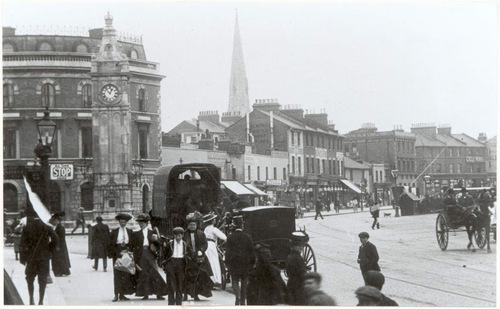 It is possible, however, that Deptford, with its extremes of poverty, high levels of enlistment in the army, and weak trades union organisation, might have proved less supportive for the conscientious objector than Lewisham, with its stronger trades union membership, I.L.P branch, and a very large number of dissenting churches. 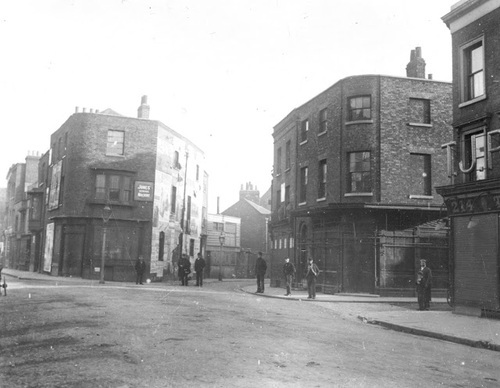 Also in the area of Deptford by the docks, there may have been a lot of work for casual labourers holding badges exempting them from conscription as there was in Bermondsey, much to the irritation of its Military Service Tribunal as often reported in the South London Press. There was too in Deptford a history of pro-war mobs initiating rioting. The majority of COs from the Metropolitian Borough of Deptford came from those areas furthermost from the docks that were also less deprived, namely Brockly and New Cross. By March 31, 1916 the number of conscientious objectors reported as appearing before the South London Tribunals had reduced considerably and the Kentish Mercury carried the sub-headline "Disappearing Conscientious Objectors". From May onward the emphasis was on married men who were now being conscripted, the press concentrated on those appealing on family or business grounds, and reports of the cases made by conscientious objectors were rarely linked together under a separate headline. Both Deptford and Lewisham COs and anti-conscription activists were members and associate members of the Dulwich Branch of the No-conscription fellowship. If records have survived, a study of of the Fellowship of Reconciliation and local Independent Labour Party groups might also cast more light on anti-conscription activity, and the numbers involved, in both boroughs. Top right shows Lewisham High Street in 1910.